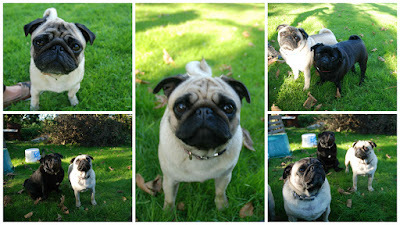 Pugs, Pugs and more Pugs! Well this has to be without doubt one of the most fun Pet Portraits I have ever done! First of all the garden gets over run by Pugs and then I had the joy of capturing each of their mischievous characters in paint. These gorgeous boys and girls belong to the lovely Daisy and her family, she asked me to do the portrait a few months back and I couldn't wait to get started. 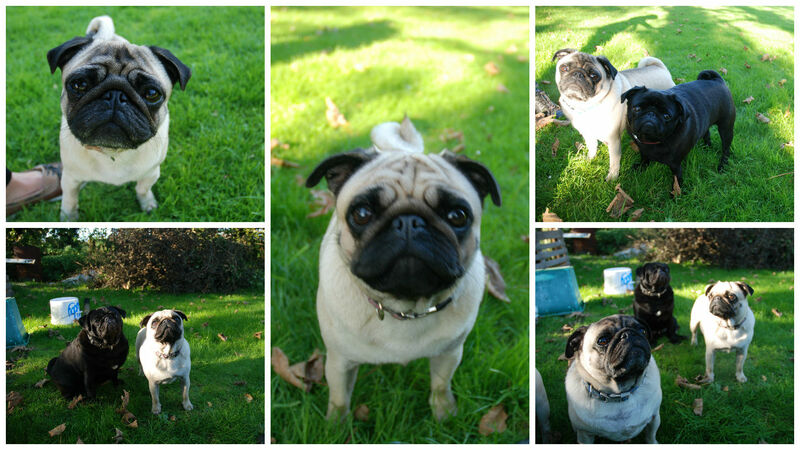 Daisy bought the whole crew over for a photo shoot - easier said than done! Five Pugs, my Spaniel Ned and a load of free range chickens led to a rather exciting afternoon. Although slightly manic it was a great way for me to get to know each of them and trust me when I say they all had their own unique personalities! From grumpy Kevin to cheeky Daphny I love every one of them. So after a lot of photos I finally managed to get some good pics of all of them, Kevin, Ruby, Daphny, Eric and Alphie were ready for their masterpiece. The most challenging part was fitting all five of them on to one long canvas, when I say long I mean 4 foot! Then it was time to get painting, I did one Pug at a time so starting from left to right, each one had their own little quirks and individuality which made it such an enjoyable portrait.